temperature gradient from top to bottom of the gel. In TTGE, the temperature at any location of the entire gel is the same at any given time, but changes with respect to time (temporal temperature). Thus it is easier to modulate the temperature during electrophoresis and provide a broader separation range that leads to a much higher sensitivity of detection. Because the denaturant in TTGE is the temperature, there is no difficulty in the preparation of a chemical denaturant gradient gel. 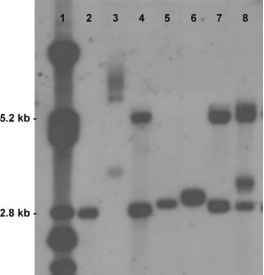 The size of the DNA fragments to be analyzed on TTGE can be as large as 1 kb. A GC clamped primer is not a requirement.